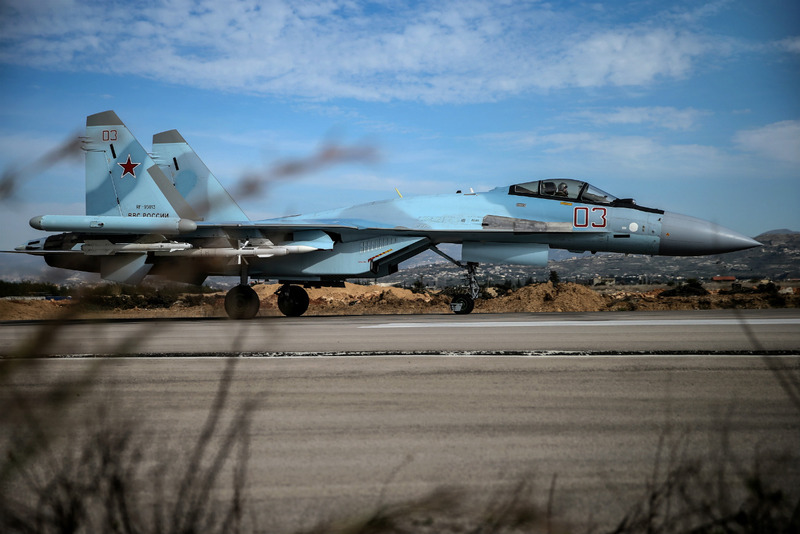 A Sukhoi Su-35 4++ Generation multirole fighter takes off at the Khmeimim airbase. Russia and the United States might launch joint operations against Islamic State militants in Syria’s Raqqa, Russian Defense Minister Sergey Shoigu said on Feb. 21. "Our task is to pool efforts. We have all opportunities for that. We have a common enemy - international terrorism. We and the Americans recognize it as an enemy," Shoigu said while answering questions from a student audience at the MGIMO university. "Time is ripe to stop using us as a bugbear for intimidating the world and to begin calm, constructive and systematic work to achieve at least the level of relations that there was five to seven years ago," Shoigu said. "We have everything at our disposal for cooperating effectively. Absolutely everything. There are no hindrances to starting this work together. If we are to use very specific terms, today it might be possible to start joint operations in Raqqa," Shoigu said. For that, he said, it is necessary "to make ourselves heard and understood." "We should make a pause, sit down and begin to talk normally," Shoigu said. U.S. Secretary of Defense James Mattis said last week the United States was unprepared for military cooperation with Russia for the time being, but it intended to cooperate politically.